My area is firmly within the beautiful Haute-Vienne region of France, department 87. The area offers everything from the bustling market towns, charming chateaux and ancient churches, with a variety of outdoor pursuits, leisure lakes, walks, and open spaces there is always something to do here during the hot summer months. Limoges city is famous for it’s Porcelaine and enamel work, and Limoges airport means the UK is quickly accessible, with excellent train links from Limoges and Angouleme (TVG just 3hrs to Paris), it is no wonder this part of France continues to be a very popular choice. The People of the Limousin are very welcoming, there is a strong agricultural tradition here producing many regional dishes, which the locals are very proud of. The properties in this area range from the cheapest stone barns and small houses for renovation, to the ready to go fully renovated complex’s. Equestrian properties and gîte businesses are popular here as tourism is good, and the area is popular for all ages as a holiday destination. Originally from Hampshire (UK), I moved to the Limousin area of France in 2003, I felt immediately at home in the beautiful countryside. Both my children were born in France, and raising them here offers us a wonderful lifestyle I feel we would not have in the UK. I have always had a keen interest in houses and renovation, having completed a barn and several house renovations over the years here, the roll of estate agent seemed to ‘find’ me, I can indulge my interest whilst helping other people to realise their dreams in France. 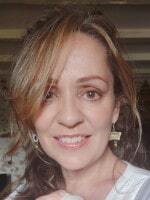 Through personal experience I can offer clients a list of local Artisans to help with projects, and I can also recommend local places to stay if required. 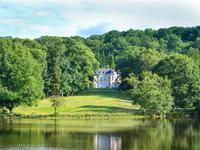 Stunning 12 bedroom Chateau set in 41 hectares of land overlooking its own lake with gate house and 550 m² outbuilding. This really is a unique opportunity to acquire a stunning chateau with a wealth of history to . . . Stunning ensemble, large house of 6 bedrooms, 3 fishing lakes, more than 10 hectares of woodland, very private. Comfortable house in an idyllic and quiet environnement, idéal for nature lovers, One . . . Exceptional house with one of the most beautiful views in the Haute Vienne, 4 bedrooms. Outbuildings, garden and swimming pool. Located on the Monts de Châlus, with impressive views over a forest and one of the most . . .
Imposing traditional maison de maitre, immaculately finished interior, swimming pool, barn, . . . 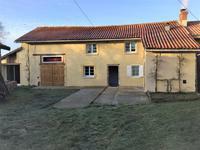 Stunning 4 bed barn farmhouse with separate 2 bed gite, pool, barn & garage, attached land and lake. This beautiful and immaculately presented, no expense spared barn conversion is ready to move . . .
A rare opportunity to acquire a renovated watermill, (no longer has access to running water . . .
Water mill with working 10kw turbine, 4 bedroom renovated house, 1 bedroom renovated appartment, hangar, garage & lake. The hamlet lies in the area of the leisure lakes of the Charente, with their beaches, . . . Stunning equestrian property, offering main house, small house to renovate, 3 barns, 3 stables, 2 hangars, pool and 3.5 hectares of land. Large character property offering a renovated main house with with barns and a 2nd property . . .
Beautiful property ! Isolated large stone house 4 bedrooms, barn and outbuildings completely restored. Nice garden. In an idyllic environnement. This great property has a lot of charm. A beautiful garden planted with bushes and trees. Exceptional 16th century castle, large outbuildings, on river side in the Park National of Périgord Limousin. Unique opportunity "Historic Castle" with old stones and character. Great potential. . . . Beautifully restored stone house currently run as a bed and breakfast, set in 1913m² of gardens, & 2 barns overlooking open countryside. This large stone house is attached on one side, but this is not noticeable once inside the . . .
Beautiful house, 5 bedrooms, in the centre of its grounds with nice view, including independent apartment of 1 bedroom. Well located, on the edge of a village. 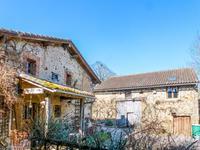 In the Regional Natural Park Périgord Limousin. . . .
A recently renovated farmhouse of 275 M², with annex/studio, large attached barn & outbuildings set in 2.5 hectares of land. An ideal equestrian property or small holding with 4/5 bedrooms and an annexe/studio. . . .
Fabulous 5 bed maison de maitre with in ground pool, 2 bed gite, barns and wonderful views. Situated in a small hamlet, 6km from the bustling market town of Chabanais, this fabulous . . . Unique ! 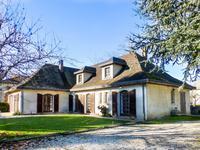 Charming character house, 8 bedrooms, set on more than 6 hectares of mature wood. Magnificent house of 280 m². Not overlooked. Landscaped park. Great harm! Unique property . . .
Large stone house, 5 bedrooms, garden. In a beautiful environment. Character property, overlooking a beautiful church classified historical momument. In a nice . . .
A large four bedroom house with a stunning four bedroom gîte attached, with private pool in an idyllic country setting. A beautiful tranquil setting with lovely countryside views for these two adjoining houses. . . . Beautifully renovated 3 bedroom town property with huge barn, outbuildings and over 2 hectares of land with 2 small lakes. This lovely property has been tastefully renovated and extended, offering plenty of light . . . Unique! This property has wide potential, house and imposing stone building next to a beautiful castle XIIème. This property is unique by its location and character. Large stone building with new roof, . . .
Immaculate Maison de Maître with 11 acres of attached land, stone barn and cottage in good condition and 2nd house with barn to renovate. No near neighbours for this fabulous 4 bed Maison de Maître with 11 acres of attached land, . . . Situated on the edge of a small village, this fabulous 4 bedroomed house was built in 2010 in . 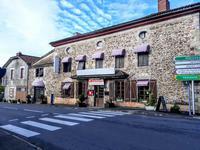 . .
Superbly situated hotel / bar / restaurant in the heart of historic Chalus. Good clientele . . .
Well presented 3 storey town house, with private attached garden and above ground 'sunken' pool. Found within walking distance to all amenities, including supermarket, and leisure lake with . . .
Large renovated stone house with 3556m² of attached constructible land. This large house has been renovated with taste. It is situated at the end of a small hamlet . . .
Fabulous 3 bed country home offering, 5 horse boxes, covered balneo swimming pool set in 1.5 h/a of private land. Set in the country-side in a secluded setting, yet with neighbours in the vicinity, this . . . This is stunning property sitting on two sides of a classic french courtyard only two . . . Situated at the foot of the medieval town of Rochechouart, this fabulous property offers a 6 . . .
Imposing stone three bed house, attached barn and over three hectares of land and woods, swimming pool. Lovely stone house on the edge of the pretty village of La Chapelle Montbrandeix. Three . . . Attractive and uniquely designed 4 bedroom property, with covered pool set in 2260M² of gardens. A uniquely designed property for sale in a small hamlet just over 1 mile from Oradour sur . . .
Beautiful opportunity, Immeuble with Restaurant / Bar activity in a great location. Hotel/ Chambres d’hotes possibility. Beautiful commercial opportunity, building converted into restaurant with apartment. Architect designed house in a very private setting, with 5 bedrooms. Built in the 1980s, this wonderful architect designed property is just 2.5km from the centre . . .
2 Bedroom house and separate 2 bedroom apartment with 2300 m² lake, set in grounds of 7950 m². Set in a small peaceful hamlet, this 4 bedroom home is split over 2 floors offering 2 . . . Your very own Medieval guard tower in this historic town! The property consists of 3 bedrooms, 3 separate living levels and much more. Including great views over the town of Chalus. Said to be by some the ancient guard tower of the nearby chateau. Steeped in history, Chalus . . . Stunning property, beautifully converted and maintained to a very high standard, this is a . . .
Beautiful, detached property with 3 bedrooms, country style kitchen and characterful lounge. . . . Massive price reduction for this isolated property of 2 houses, first 2 bedrooms, second 1 bedroom, outbuildings, nice barn, beautiful garden, woodland. View on the countryside. At the end of a hamlet of few houses, not overlooked, this renovated property is in the . 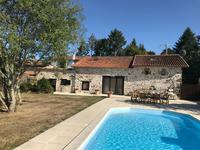 . .
Beautiful character home with stunning in-ground pool and fabulous location next to the Haute Charente leisure lakes. Great B&B/guest suite potential too. 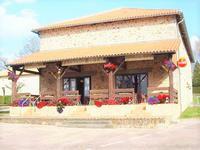 2 beds plus 2 mezannines used as bedrooms, huge lounge, country style kitchen, dining room, . . .
A great opportunity to purchase a very well finished house set in it's own parkland with the . . .
Fabulous single storey home, packed with interest and character and yet recently built . 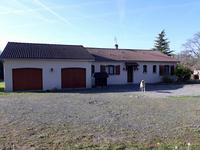 . .
Detached 4 bed house with garage and workshop, plus stone barn, 2.3 hectares of land . . . 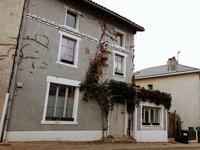 This rénovated house is situated in the commune of vayres, which has a small shop, . . .
2 character, stone houses ready to move into plus barn and 3rd house to renovate, close to the Haute Charente leisure lakes. 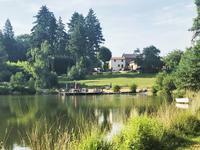 Situated in a small hamlet, very close to the Haute Charente leisure lakes, this fabulous . . .
Immense town centre property, excellent potential for B&B, commercial use, medical practitioner. Nice private accommodation, 7 beds, 3 bath, beautiful garden, with everything nearby. Previously used as a dental practice, the former surgeries, reception area, waiting room and . . . This large property set in its own grounds offers substantial living accommodation plus . . . In a pleasant environnement and nice view, close to all amenities. Very well presented 4 bedroom, detached, stone house with pretty garden and a lovely views. . . . Situated in a pretty Haute Vienne hamlet, this lovely, detached, stone, 3 bed roomed house . . .
Fabulous stone house 2 bedrooms. Large garden, lake, magnificent view. Charming house with a stunning garden, in the middle of the countryside. Massive price reduction = 125 350 € Agency fee included for this nice 4 bedroom town house with garage and garden. This house is in a quiet street of a village with all shops, close to a school and village centre. 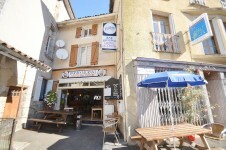 Situated in a highly sought after area of the medieval town of Rochechouart with all . . . Spacious 4 bed family home, nice garden. In a village with shops. This house dating from the 70s is located at the crossroads of Charente and Dordogne, in a . . .
Secluded 3 bedroom house to refresh, with 19177m² of land and a small lake of 2450m². This house is tucked away in a secluded position on the edge of a small hamlet not far from . . . In a small hamlet of a few houses, this house is entirely renovated with exposed beams and . . .
Three bedroom bungalow. Wood burner and electric heating, double glazing. Set in St . . .
Brillant business opportunity, nicely located shop with 2 bedroom apartment, second building. On the crossroad of three regions. In the center of active village, this property will provide à business premises with nice . . . Under 7km from the larger town of St Junien and 34km from Limoges airport (35 mins drive). This beautifully and expertly renovated property offers spacious accommodation over 4 levels. . . .
House with quality, large terrace with beautiful views. Barn, outbuilding with charm. In a . . .
Investment Opportunity Not be missed ! Restaurant in a beautiful environment. 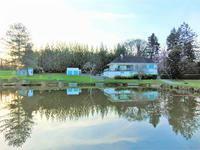 Category IV licence and sun terrace overlooking a large lake, great potential. Old stone built restaurant with terrace and ample parking. Bar opening onto a sun . . .
Beautifuly renovated 3 bedroomed stone house with garden and outbuildings. Beautiful meteorite stone house consisting of a kitchen, large lounge/dining room, large . 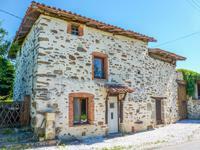 . .
Stone 3 bedroom hamlet property with separate barn and 1066 m² land. This renovated house is situated in the commune of Vayres, which has a small shop, . 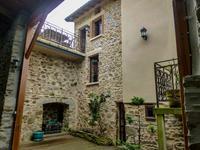 . .
Well renovated stone house with studio apartment and large workshop, courtyard garden and garden of 600 m². This property has been tastefully renovated offering many possibilities for the buyer, it is . . .
Five bedroom renovated and extended stone property set in 1100 m² of attached garden with raised pool. Situated in a hamlet not far from the town of Cognac la Forêt, which has basic daily . . . Spacious 3 bed modern bungalow, in large plot, withing walking distance of town amenities. This property is found in a quiet road on the outskirts of a lively town, it is conveniently . . .
Town property with huge scope, 2 commercial areas, plus 2 apartments, and courtyard garden. This property offers various possibilities for a potential business and home. It is found in . . .
Old stone house steeped in character, with area to renovate, attached garden and private parking. This charming stone property was skilfully renovated about 12 years ago, it offers lovely . . .
A great opportunity to purchase a very well finished house set in its own parkland. A lovely . . . 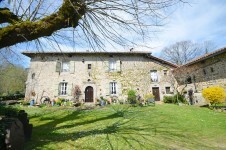 Situated in a small hamlet, 8kms from the medieval town of Rochechouart with full amenities, . . . Pretty stone house with open plan lounge/dining room/kitchen, bedroom and bathroom that are . . .
Fabulous 2 bed barn conversion with 2 bed cottage alongside to modernise in beautiful private setting, just 3km from the Lacs de la Haute Charente. Situated in a small, peaceful hamlet this lovely property enjoys un-spoilt countryside views . . . Stunning 2 bed-roomed stone house with attached garden and barn opposite. This charming character stone cottage set in a lovely, peaceful and close knit hamlet is . . .
Immaculate 3 bed bungalow on the outskirts of Rochechouart with garage and garden. Open-plan bungalow with 3 bedrooms and garage. UPVC windows and door, rolling shutters for . . . Attractive 4 bed house with open plan lounge/dining room and kitchen, leading out to the . . .
Exceptionally well renovated three bedroom house with 'green' heating. This lovingly renovated stone house is situated in a hamlet in the green Limousin . 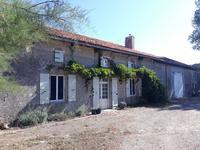 . .
Great price for this 2 bed farmhouse with attached barn and 2.5 ha (6 acres) of flat land plus pretty stone cottage. Ideal for horses. 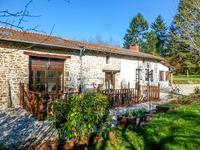 Situated in a quiet hamlet, very close (3km) to the Haute Charent leisure lakes, this . . .
Ouvert aux offres ! Excellent business opportunity - At the crossroads of 3 regions, store with petrol station, Large family house 160 m². Ideally located, on the edge of the Charente and Dordogne. Beautiful potential with many . . .